“We are trying to buy the training ground – at the moment we lease it – we’re trying to buy it and build new facilities for the Academy and for the First Team. One of the things Ren spoke about was about the club potentially buying the Wast Hills training ground. 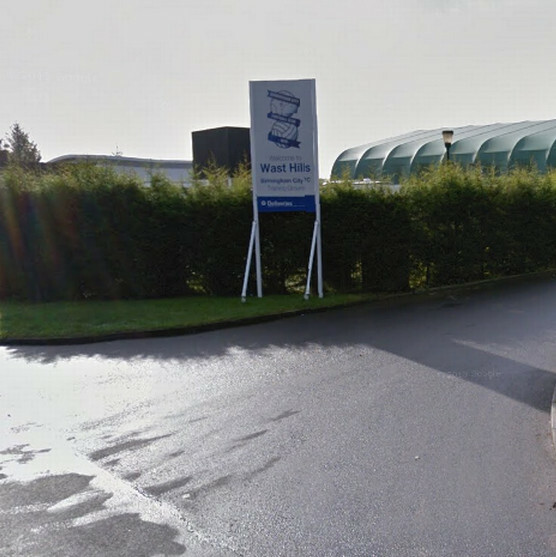 Blues moved into the training ground in the late nineties after Trevor Francis insisted to Karren Brady that the club should reinstate the academy. Brian Eastick managed to negotiate an initial one-year lease on the property from the University of Birmingham before persuading Brady to extend that to a 100-year lease as the Academy concept took shape. Blues have since spent money extensively on upgrading facilities including a £450,000 upgrade last summer when they improved the “dome” which is used for indoor training along with the installation of a new 3G pitch. The purchase of the training ground isn’t a new idea. Blues were negotiating the purchase of the training ground in 2011 with the arrest of Carson Yeung proving to be the factor that stopped the deal going through. Obviously, with the travails that followed that there was no way the club could afford to complete the deal, but with that now behind us I’m glad the idea has been revisited. I’m a believer that for anyone to make a success of Blues financially requires whoever owns the club to think past the idea of getting the club promoted and taking the Premier League riches. Owning the training ground would allow for further infrastructure improvements to improve the academy and training pitches, which would have a positive effect on the first team. However, I think that it will also give the club the chance to properly utilise its Chinese connections, and I would not be surprised to see some sort of reciprocal deals whereby Blues impart their knowledge of coaching to Chinese coaches in return for things like chances to enter tournaments like the recent one in Beijing the u14s won in July. This would do two things in my opinion. Firstly, it would give Blues an opportunity to work with Chinese clubs and hopefully build up a pathway to market the club in the Far East. Secondly, I think it would help improve our own players if only to give them a more rounded understanding of the world and their place in it. The hardest step for any young player to take to make it as a pro is to have the mental drive and anything that helps them with that is a good thing. While I’m a big believer in actions speaking louder than words the fact Ren has a provable history working with soccer schools in China along with ownership of a club (Chinese League One side Nei Mongol Zhongyu FC) gives me some hope that we might see more than lip service to this idea of building for the future.